This will be the first meeting of the GST Council since the launch of the new indirect tax regime on July 1 and the 19th since it was set up in September last year. New Delhi: Over two weeks into the new GST or goods and services tax regime, the all-powerful GST Council will meet on Monday to take stock of implementation of the new indirect tax. This will be the first meeting of the GST Council since the launch of GST on July 1 and the 19th since it was set up in September last year. But unlike the earlier meetings, when the states and Centre used to sit across the table and decide on a plethora of issues, this time the interaction would happen through video conferencing. 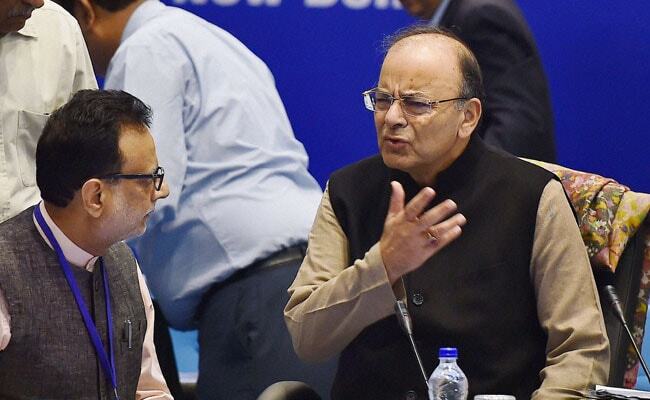 "19th Meeting of GST Council under the Chairmanship of Finance Minister Arun Jaitley will be held through Video Conferencing on July 17 in Delhi," the finance ministry said in a tweet. After the last Council meet on June 30, it was decided that next meeting will happen on August 5. But the date of the meeting, sources said, was advanced as the Council wanted to take stock of the situation post the rollout and get a nation-wide report. The council, chaired by Mr Jaitley and having state finance ministers as members, has over the past 10 months ironed out various contentious issues and decided on a four-tier tax structure of 5, 12, 18 and 28 per cent. Over the last two weeks, the ministry has been issuing clarifications on doubts raised by industry. Besides, Revenue Secretary Hasmukh Adhia has held a marathon six-day 'GST Master Class' for businesses and traders explaining the rules of the new tax regime and answering their queries online. The finance ministry had earlier said GST has been implemented "without any major problems being reported" from the field offices. The ministry has also asked businesses to register themselves for the new indirect tax regime by logging on to the portal www.gst.gov.in latest by July 30.